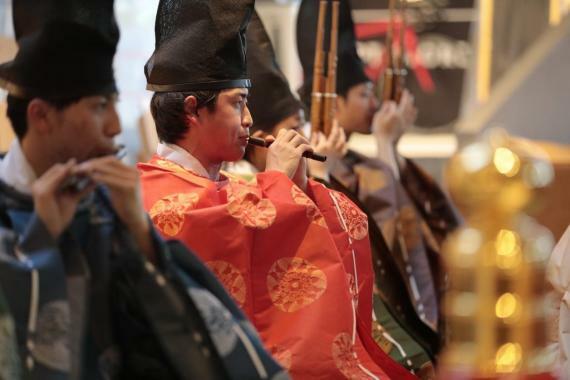 Experience "Gagaku" japanese ancient music stage show and workshpo in Tenri!! Gagaku, meaning “elegant music”, is an ancient court music of Japan. The music is of foreign origin and imported largely from China and Korea as early as the 6th century and established as a court tradition by the 8th century. Mostly, and mainly it is played by three instruments which are Hichiriki, Sho, and Ryuteki. It is about the 10th century when it completed in its artistic form, and from whence it has been passed down from generation to generation under the patronage of the Japanese Imperial Family. Instrumental performances of gagaku with dance are called Bugaku which you can enjoy in this show and the workshop. ・Gagaku is japanese ancient music&dance. ・Enjoy the most historical entertainment and experience its aristocratic atmosphere. ・In our workshop, you can try ancient costumes and masks which are used in traditional dances. ・You can even try instruments. Learn how to make a sound and explore the mysterious connection between western and eastern music. *If you book "with Yamato dinner plan", booking must be made by up to 7 days prior to the date of the show. -Children under the age 12 need to participate with their parents. ・Experience ancient costume and instruments. 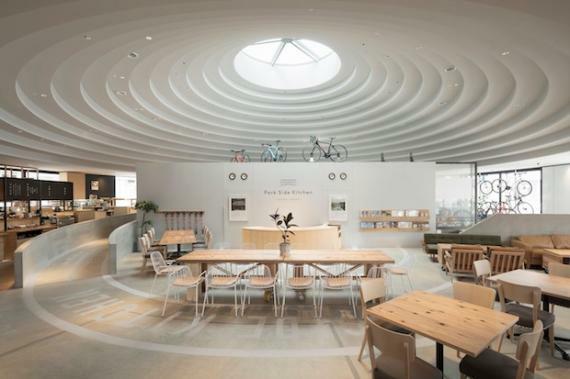 Park side kitchen in Tenri station. From Nara...17min. from JR Nara station by JR Mannyo-Mahoroba Line. From Osaka...70min. from Osaka station by JR Osaka Loop Line & Yamatoji Line. Transfer at JR Nara station to the local line for Tenri. From Kyoto...70min. from Kyoto station by Kintetsu Line. You can take following lines at Kyoto station. Payment will be accepted on arrival and Credit Card (VISA/Mastercard/American Express/JCB)is preferred. This is a good chance that you can feel ancient japan! If you book "with Yamato dinner plan", booking must be made by up to 7 days prior to the date of the show. Our company mission is bring joy of meeting someone you’ve never met before. 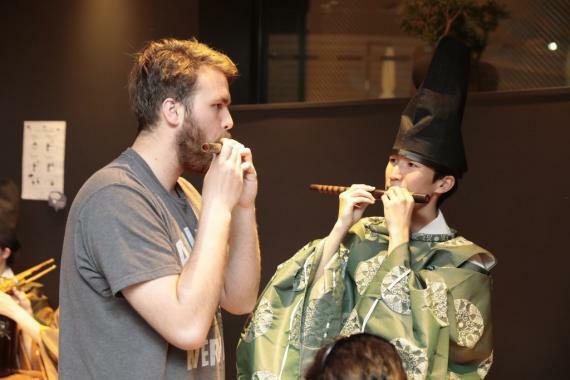 Find out the ancient Japanese culture and history with us! 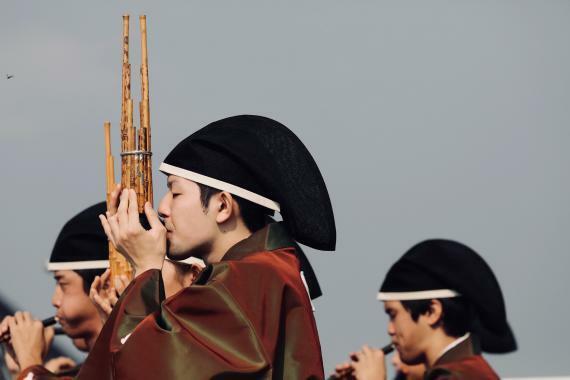 Immerse Yourself in Ancient Japanese Music.